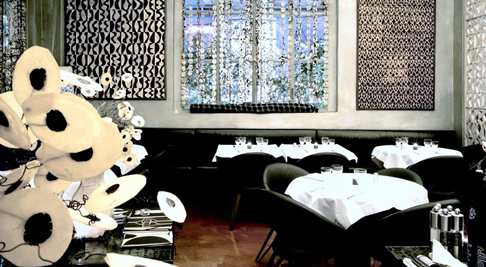 Its owners tout it as a union of culture and commerce, but most Milanese know 10 Corso Como as a design store and lively eatery and terrace hat’s one of summer’s hottest tables. 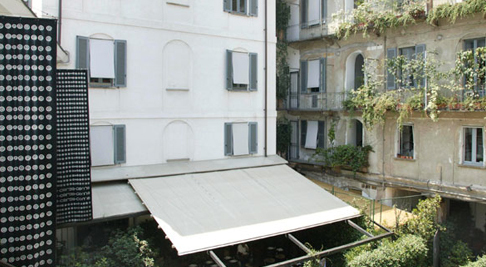 An industrial building lined in glass storefront along Corso Como introduces a series of shopping, gallery and bookstore vignettes that link to a rear courtyard with hanging garden and majestic lounge scene. Heavy use of painted tile, monochromatic design and mid-century décor accents most of the space that includes 3 Rooms on an upper floor that act as a micro-hotel open to nightly guests. Design department store with café, terrace and three-room hotel. 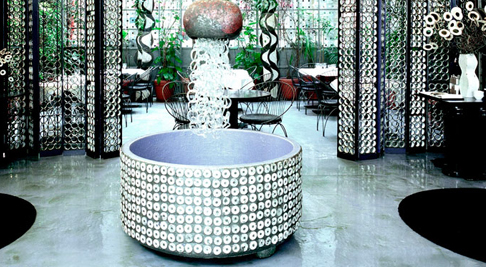 One of the best summer terraces in Milan, Corso Como combines art and shopping in an Eden-like setting within the central city.